One of my New Year's resolutions was to make sure I was taking time for ME each and every day. Even if it is for only a few minutes, I am trying hard to make sure I take care of myself, and not just everyone else in the house. As a busy mom on the go, we find ourselves getting lost in the mix when it comes to doing things just for us. We are so busy driving the kids back and forth to school, sports and extracurricular activities, and then home to tend to the house and cook meals, that a whole day can go by without even taking a few moments to breathe. This is how we find ourselves burning out, and getting grumpy with life. Life shouldn't be all about to-do lists, and pushing to get things done. Instead, we should be savoring the time we have on this Earth, with those we love. Kids will only be little for so long, and us Moms need to make sure we are taking care of us, so that we are here for a long time to go, to see them grow up and have children of their own. As part of my "me time" resolution, I am bringing back something I used to love doing before I had kids...bubble baths, and long soaks in the bathtub. Ever since I welcomed the girls, I am either fighting to get in the shower and out, with enough time to get ready before we all rush out the door. I don't even think twice if I can get a bath in over a shower, as more times than not we are running late, and I am trying to hep the girls find a missing sock or shoe. But, at least once a week, I make a point to set aside time, even if it is after 11 o'clock, when the house is finally quiet, to draw a hot bath, and soak in it. My achy feet and bones sure do appreciate the extra soak, and I find it helps relax me, as a crazy week of going non-stop. Oh, how I look forward to these late night baths, where I don't have to worry about the kids coming in the bathroom to talk to me, or need me to rush out to help them with something. "Plan your next fun and fantastical bath time escape with Hallu, which is debuting several new products – including industry-first lightable candle and incense burning bath bombs. Since debuting in 2018, Hallu (pronounced ha-LOO) has been a wildly popular bath and body line that offers a mythical place in time where escapism is a reality. 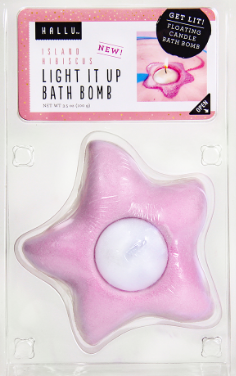 Add color, intrigue and a soft glow to your tub with the Hallu Wish Upon a Star Bomb. 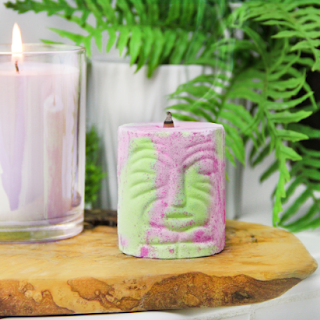 Light the candle as you gently submerge within the warm bath water, breathe in the soothing hibiscus and water lily fragrance and watch as the bath bomb slowly transforms the waters around you into a beautiful unicorn sky. Be sure to make a wish on this shooting bath-time star before it melts away so all your dreams may come true. The Wish Upon a Star Bath Bomb retails for $4.97 and will be available at Walmart stores starting March 30. 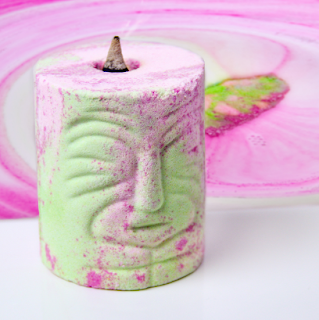 And for the most mer-mazing bath of all time, try the Hallu Mermaid Tiki Torch Bath Bomb featuring lightable incense. Simply light the cone’s tip and let the Palo Santo fragrance permeate the room providing energy, cleansing and spiritual purification. Once the desired level of scent is achieved, add the bomb to your bath to extinguish the ember and indulge in the swirling greens, pinks and purples while absorbing the moisturizing benefits of myrtle and almond oil. 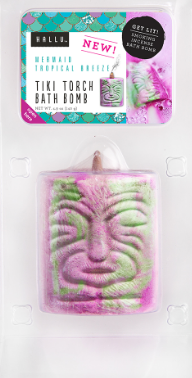 The Mermaid Tiki Torch Bath Bomb retails for $5.97 at Walmart. The Kroger family of stores and its subsidiaries are also exclusively debuting three new Hallu bath bombs along with a mix of 13 Unicorn, Fairy and Mermaid bath and beauty fan favorites. The new bath bombs include a Fairy Die Cut Candle Bomb, Fairy LED Large Bomb and Mermaid Tail Die Cut Bomb. 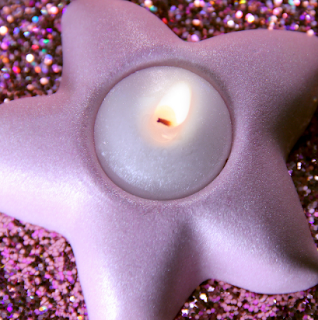 The Hallu Fairy Light It Up Bath Bomb is a 3.5-ounce pink, star-shaped floating candle bath bomb that adds a touch of pixie magic to the bath. Breathe in the soft, floral fragrance and prepare to be mesmerized as the bomb releases a floating candle while emitting shimmering mica and a streak of blue reminiscent of a shoot star. For the sake of all fairies, please be sure to chant, “I believe in you” three times before blowing out the candle. For flashier bath-time fun, check out the Hallu Fairy Dance Party Bath Bomb. The 4.9-ounce nourishing pink bath bomb floats, bubbles and streams intertwining ribbons of radiant color and naturally-derived golden mica before revealing a flashing LED light inside. Retailing for $5.75, these spa-tastic bath bombs feature Hallu’s popular Island Hibiscus fragrance — a floral scent that mingles in a garden of hibiscus, water lily, jasmine and rose rounded out with notes of sheer vanilla, musk and shaved wood. Enjoy a relaxing bath in a splash with the Hallu Mermaid Splash Bath Bombs. Die cut in the shape of exotic mermaid tails, the bath bombs come in two varieties: a swirling mix of teal, sky blue and sea foam green or sunny yellow, pink and apricot. Both bath bombs release Sea Salt Citrus scented bubbles and streams of colorful radiance to turn your bathroom into a seaside oasis. Cleanse, unwind and let your tail down with one of these 3.5-ounce bath bombs retailing for $5.75. Kroger also will offer an array of Hallu’s tried-and-true fan favorites across the Unicorn, Mermaid and Fairy collections to round out your bathing routine. Top sellers include the Unicorn Rainbow Sugar Scrub, Mermaid Spray Lotion and Fairy Pink Foam Lotion. The Hallu line of products including new, exclusive bath bombs will be available beginning March 23 at select Kroger stores and Kroger subsidiaries. All new bath bombs are sure to light up social media so join the conversation by posting or snapping your Hallu experience with @HalluEscape." I really enjoyed the smoking incense bomb, and how it filled the air with a tropical breeze scent, while adding color to the tub water. I found my skin was also left feeling smooth, and smelling amazing! And, the "Wish Upon a Star Bath Bomb" was truly magical, as it floated on the surface of the water. 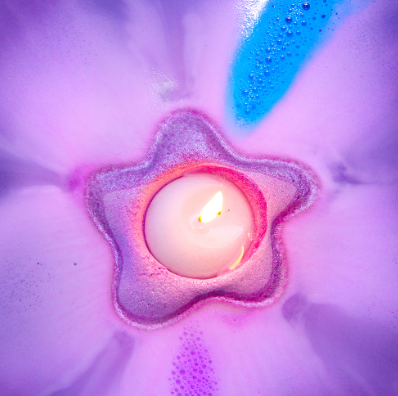 As the bath bomb dissolved, it left the water with a shimmery sparkle, for the floating candle to dance around in. I will definitely be picking up the Hallu lightable candle and incense bath bombs that recently released in stores, to enjoy with my weekly "me time" baths. They just add to the relaxing experience a long, hot soak offers, after a crazy week of going non-stop. And, come on, with all the stuff us moms do, we deserve a little pampering time of our own --- and Hallu's bath products have us covered when it comes to a bath experience we will never forget!